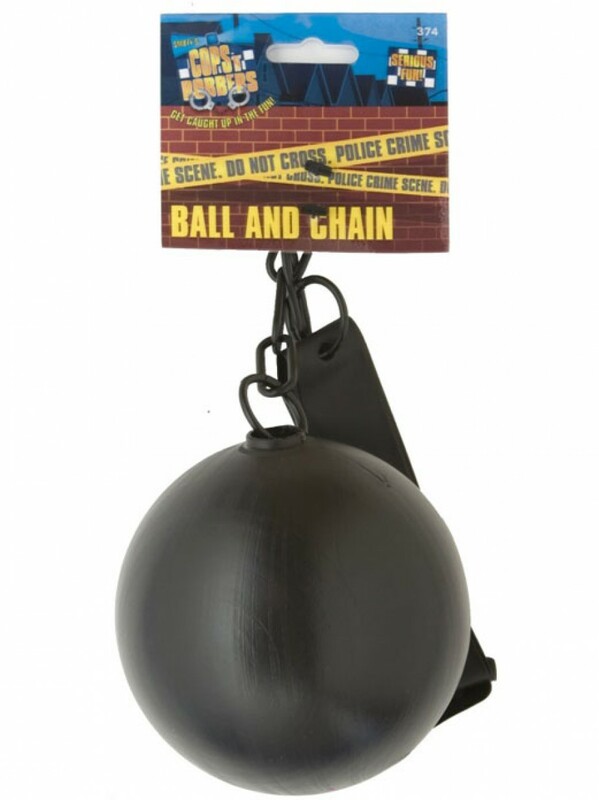 A black Ball and Chain with an attached chain and Velcro fastening ankle strap. A perfect Stag Night or Convict outfit item! A black plastic ball which is very light for easy wear. The ball has an attached chain and ankle strap which has an adjustable Velcro fastening. A great addition for a Convict and also popular for Stag parties (a good ‘last night of freedom’ prop).